Want to own a car that makes heads turn AND gives you wings with its futuristic tech? The iconic British motoring brand, MG Motor’s latest cars will give you all that and more! We got a seat behind their wheels and let’s just say we’ve already started saving up. Here’s all you need to know about MG Motor’s newest additions. MG cars, MG HS, MG ZS and MG RX5 have already created a rage on the roads of UK, China, Thailand and Middle East. Imagine the sheer pleasure of owning one of their sturdy, tech-driven cars right here in India. Gear up as their first SUV is all set to hit the Indian roads by Q2 2019. Love living flamboyantly? A look at the MG HS full SUV and you’ll be exalted by its almost-European car built. With a neat, sporty silhouette and slick chrome finish, this one has got us crushing on the car. 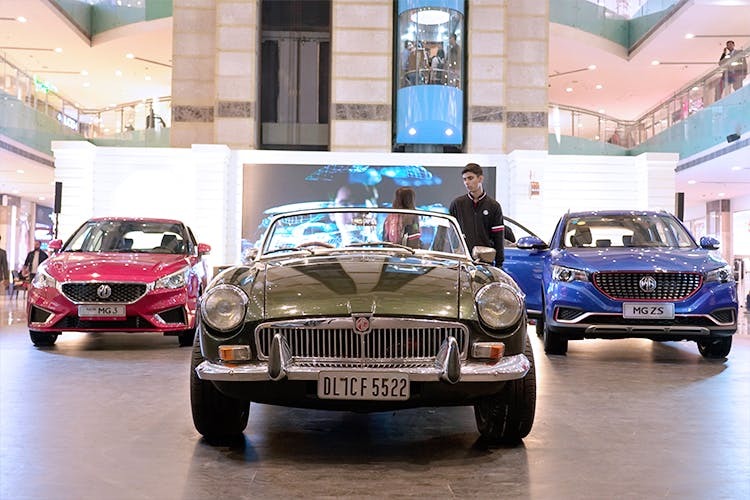 MG HS is also the manifestation of the brand's iconic X Motion—always on internet in the car, electric power train, dominant eye-catching design and other intelligent tech features (which you’ll surely want to discover)! This one’s got to be on your 2019 goals. Prefer practicality with style on Indian roads? Then MG ZS has got to be your all-time companion. We know how most of us have to spend those annoying hours on the roads courtesy bumper-to-bumper traffic. So make it a breezy experience living that time in this hood. This one’s for the long haul with the responsive 1.5 litre manual transmission or the 1.0 litre turbo automatic if you prefer an even smoother drive. This luxurious SUV has got great infotainment onboard with the 8” touchscreen, steering controls, reverse cameras, Bluetooth and more without really denting your pocket. Been wishing for a car with a sunroof? We know how those long drives by the beach or on the hills tug at your heart, especially with the option to duck out your faces and letting the cool wind through your hair. Get the MG RX5 to make your journeys all the more magnificent with its panoramic sunroof. The feature-loaded SUV comes with a larger 10.4-inch touchscreen, LED headlamps and an intelligent anti-clamp power tailgate for remote vehicle control. This one’s just perfect when you want to shuffle between the cities and for all those who know it’s the journey (and not the destination) that makes traveling therapeutic. Watch out as MG cars are ready to take us by the storm. They’ll even be launching over 100 touchpoints in the country to service customers. Word on the street is that there is a possible launch of MG Car Club India chapter (enviably on everyone’s wish list) that will bring together all MG owners (of current and old cars), to create communities that can help and sustain the old MG classic.